Did you know that a 60-minute massage has the same effect on your body as a full night of sleep? But with so many massage chairs sold every year, you should make sure you choose one that can actually provide this relaxing effect. 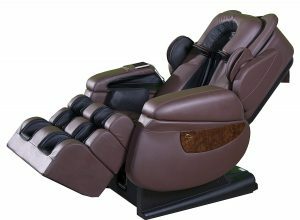 The good news: we have the best Brookstone massage chair reviews below, that can provide relief, energize and relax you courtesy of the best massage programs. But the paradox of choice is a real thing: the more options we have, the more difficult it is to choose something we like. 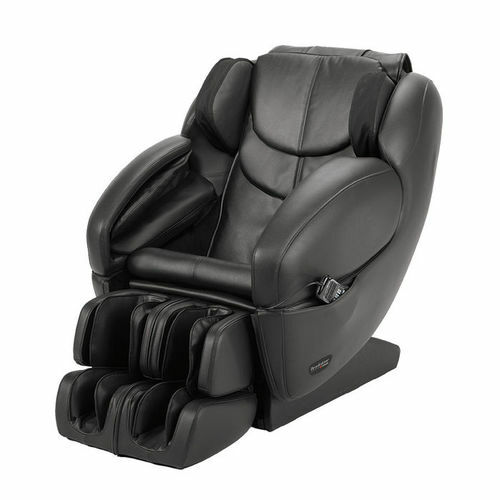 Hopefully, our Brookstone massage chair comparison will help you make the best choice. Even if some of these chairs have been discontinued by Brookstone, you might still find them on other websites. Still, in case you can’t find them, we’re providing some top alternatives below, so read along! Brookstone is a reputable company that started in the ‘60s. Brookstone Inc. quickly became successful, evolving from a small company that advertised their business in the classifieds to a real retail mammoth and an American icon. Among their wide range of products, Brookstone also retails massage chairs, all of which are manufactured in China. That’s why many massage chairs are priced well, but they’re also quality products, meaning they’re functional but don’t have any truly exceptional features. Most online reviewers never complain about the basic functions or operation of the Brookstone massage chairs, which are pretty good. However, they do complain about day shipping or delivery issues depending on where they made the purchase. The Brookstone massage chairs are all quality products, with plenty of massage options, but we’re also providing comparisons with some top alternatives. 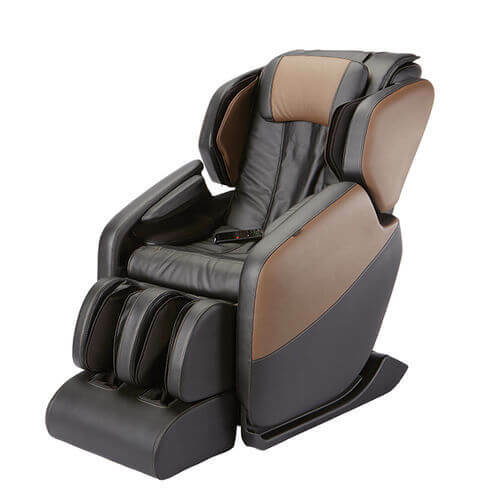 This model is one of the high-end zero gravity massage chairs in the Brookstone brand, with a plethora of features that recommend it as the best. Just like all the other models reviewed here, it’s a quality chair, though it’s more lightweight than similarly-priced chairs. Among the features that recommend it, you get the Energize 3D sports Bluetooth speakers and MP3 support that is otherwise lacking from more affordable Brookstone chairs. The L-Track massage is long, and it’s combined with 3D quad rollers, body scanning, zero-gravity, and quality air massage. There are 62 airbags in the Energize 3D, which has 14 built-in massage programs, including zone and spot functions. The main massage techniques you can benefit from are Kneading, Tapping, Rolling, Clapping, Thai, and Shiatsu. 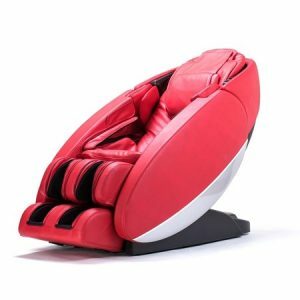 The Energize 3D chair features a space-saving design, controls for the air massage intensity and rollers, but doesn’t have temperature control. Summary: The flagship model of the Brookstone brand, the Energize 3D has the most functions and advantages in this line. Human Touch Novo XT is another high-end massage chair, promising a customizable, life-like experience thanks to advanced massage features. With a space-saving design and certified by chiropractors, the Novo XT offers good therapeutic benefits. 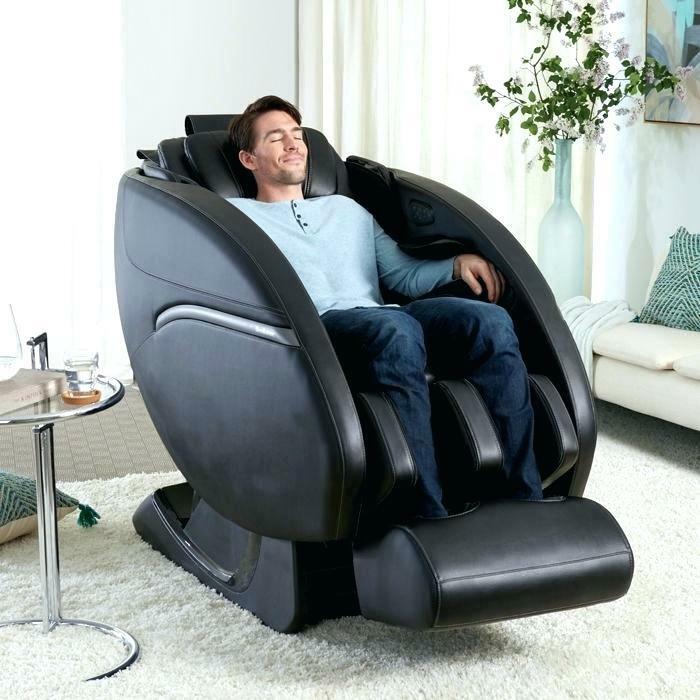 Much like the Energize 3D, this massage chair offers L-track massage, but some users complain that the track can’t reach all the way to their hamstrings. Other similar features are zero-gravity, foot-and-calf massage, albeit the rollers are a bit intense and full body stretch. Conversely, the Novo XT offers just lumbar heat, no body scan, features 36 airbags, and its Bluetooth music system is not nearly as good. However, it has 35 included massage programs to help ease the pain of sciatica, arthritis and other chronic pain, plus a 5-year warranty, as opposed to just 2 years for the Energizer 3D. 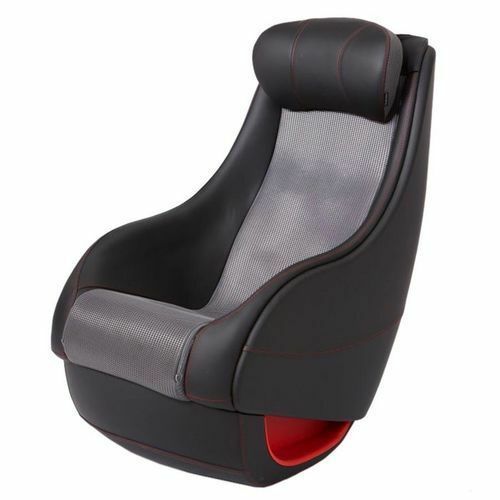 Read out post here for more Human Touch chair reviews. Another high-end alternative is Luraco i7 Plus, with the advantaged of being manufactured in the USA. It is in all of my research is the best zero gravity massage chair right now! 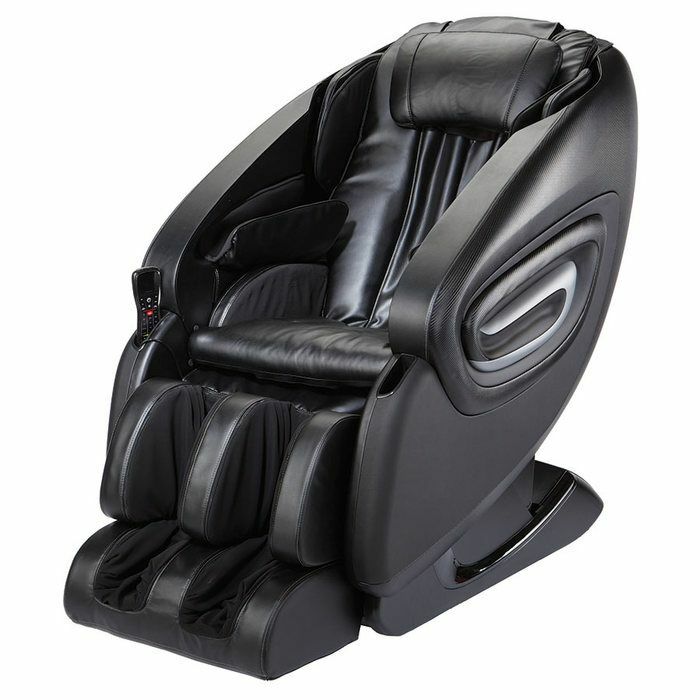 The Luraco i7 Plus seems better suited for relaxation and has a few similar features with the Novo XT, such as 5 levels of massage intensity, zero gravity, and 5-year warranty. Both the Luraco i7 Plus and the Novo XT are heavier than the Energizer 3D and have a poorer music system. Unlike the Novo XT, the Luraco i7 plus has a memory option on the remote control, includes body scan, offers heat therapy for the lumbar area plus the feet and calves. On the other hand, the Luraco i7 Plus doesn’t have an L-track, and it’s also quite bulky. The Renew 2 3D massage chair is the new and improved version of the Renew 3D, but we’re not so sure on the improvement part. With similar functionalities, the Renew 2 3D features 8 auto-programs and 5 massage techniques, including Kneading, Tapping, Kneading & Tapping, Rolling, Shiatsu. There are 42 included airbags which offer a quality air massage. We love the stellar body stretch and zero-gravity, while we can only appreciate the design of the Renew 2 as modern. Other features include lumbar heat, L-track massage, and a 2-year warranty. The remote is easy to use, which shows user-friendliness, but the chair is bulkier than the Energizer 3D. Summary: The Renew 2 3D is a great chair to reduce back pain and offer stress relief. 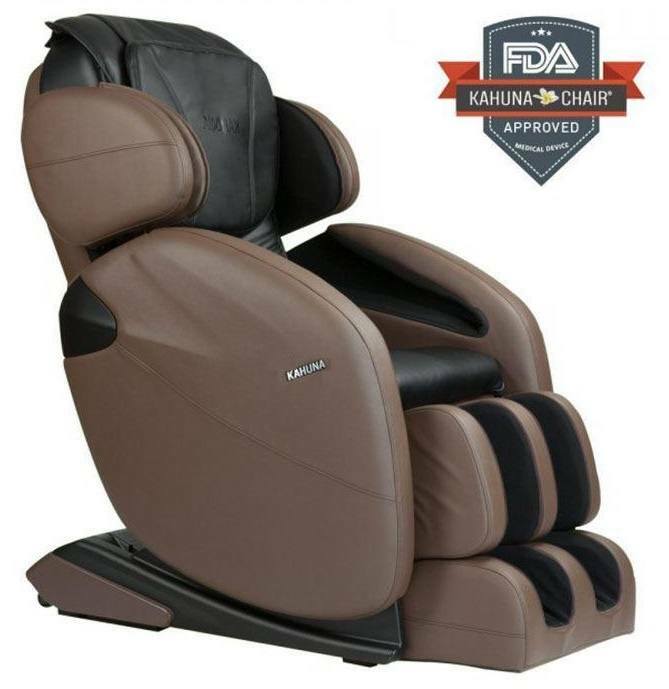 The Kahuna 6800 offers an efficient, almost life-like massage, and it’s a popular choice in the under $2000 category. FDA-certified, this massage chair is versatile and is feature-packed. Instead of an L-track, the Kahuna sports a hybrid massage track that can give you a head to toe massage. There are 6 auto-programs for the Kahuna, 2 short of the Renew 2 3D, but there are 3 stages of zero gravity and smart body scan. Besides, the Kahuna features air massage technology for the whole body and offers a yoga stretching program that can compete with the Renew’s full body stretch option. Besides, the Kahuna is space saving, offers dual foot rollers and has a 3-year warranty. Another difference is made by the heat therapy function, considering the Kahuna offers heating therapy on both the lower back and legs. Otherwise, it has the exact same manual massage techniques as the Renew 2. The Renew 3D is a robust chair, situated in the middle price range and sporting basic massage features that make it a good choice. The L-track design allows its rollers to massage you from shoulders to hamstrings. There are two advanced massage techniques, Thai and Shiatsu, along with the generic kneading, tapping, clapping and rolling. Another big nod in its favor is courtesy of the 30 included airbags, which offer a quality air massage. There are plenty of customization options, courtesy of the 9 built-in programs, and you can adjust the speed and intensity of the massage. The 3D roller technology means the rollers can move almost like human hands all along your back, while the zero-G seating augments this experience. Another nice touch is the lumbar and calf heat, especially for people with chronic leg pain, but the best feature of this chair is the foot massage. Other features include body stretching, body scanning, zone, and spot massage options, but there’s nothing special about them. Besides, the remote seems a bit difficult to use at first. Summary: The Renew 3D is our top choice for a foot massage, but it’s a pretty basic chair. The most affordable massage chair model so far, the Rock & Recline is a small chair that does as its name suggests: it rocks, and it reclines. A compact, affordable and lightweight chair, the Rock & Recline is not suited for tall or broad-shouldered people. Besides, it only has a 1-year warranty as opposed to the other models here. This entry-level chair sports a lot of features that its more expensive counterparts have, such as the L-track design and lumbar heat, though there’s no heat control. The quad rollers give a vigorous massage, but they’re not 3D. There are 4 built-in programs, zone massage mode, and target massage. In fact, you can interrupt an ongoing program to keep the rollers focused on a sore spot, which is great. The massage techniques used are Shiatsu, Tapping, Rolling, but keep in mind that the zone massage mode is a limited feature. Moreover, there are no airbags, no zero-gravity, and you can’t adjust the massage intensity or duration. Summary: The Rock & Recline massage chair is a basic, affordable model, which gives a quality massage. Don’t forget that it’s the only one that rocks! 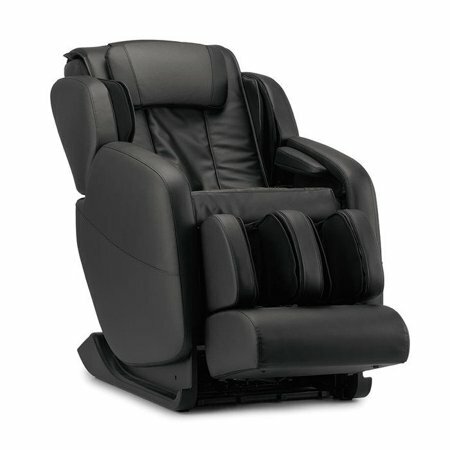 The Kahuna LM 6800 is a good alternative for the Rock & Recline too, considering they’re in the same price range. In fact, the Kahuna could be considered a lot better with the one disadvantage that it can’t rock. 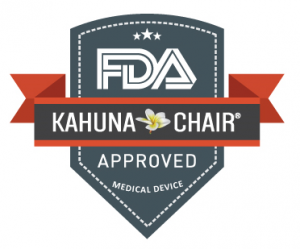 Other than that, the Kahuna is FDA-certified, it has two more built-in programs and 3 stages of zero gravity. While the Rock & Recline has no body stretch option, the Kahuna excels in this regard, especially thanks to the yoga stretch program. Besides, the Kahuna uses the space-saving technology, unlike the Rock & Recline, although you can’t really complain considering the R&R is pretty compact. The Kahuna can also accommodate people with larger body types and offers both lumbar and calf-and-feet heat. Another advantage is that the Kahuna offers two more massage techniques: Kneading and Kneading& Tapping. 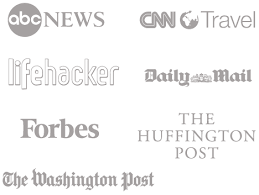 Brookstone Signature is a product launched in partnership with the reputable Japanese firm Inada. It’s no wonder that this chair’s best feature is the Shiatsu massage you can get. To make this happen, the body-scanning technology used comes with a surprise: the automatic Shiatsu point detection. Another advantage is the 76 air cells that cover your whole body for a complete air massage. There are 18 pre-programmed sessions, 4 more than the Energizer 3D has to offer, but the best one is by far the Twist, which uses chiropractic moves to ease lower body pain like sciatica. This chair is versatile and can fit athletes and regular people alike, but its massages are quite vigorous. Its best feature is the OCTET® dual-mechanism massage system with two 3D rollers that give the best neck massage, much like that of a Shiatsu master. Besides, the rollers’ intensity can be adjusted so that you can get a deep tissue massage. Summary: The Brookstone Signature is the best chair to get if you don’t want to hire a personal Shiatsu therapist. The Brookstone Recover 3D is the best choice for therapeutic massages, especially if you’re in a hurry because you can get the full body massage in 6 minutes, with the zero-gravity option. Just like the Energizer 3D, the Recover 3D has 14 built-in massage sessions to twist, flex, energize, soothe, extend and stretch. The body scan option delivers a personalized massage, and you can target your whole body. Hint: the neck and stress relief massages are the best. There are night and day programs, as well as specific massage techniques like Clapping, Rolling and Kneading, or the most advanced Thai and Shiatsu. With 50 powerful air nodules, an L-track system and 3D massage rollers, you can ease chronic pain and improve circulation. Another benefit is shoulder width adjustment, and you also get heat therapy for your back, legs, and feet. However, the return fees are pretty high, and the 2-year limited warranty could be better, though you can buy the 3-year service repair plan. Summary: The Brookstone Recover 3D is better suited for therapeutic purposes, and it’s highly customizable. 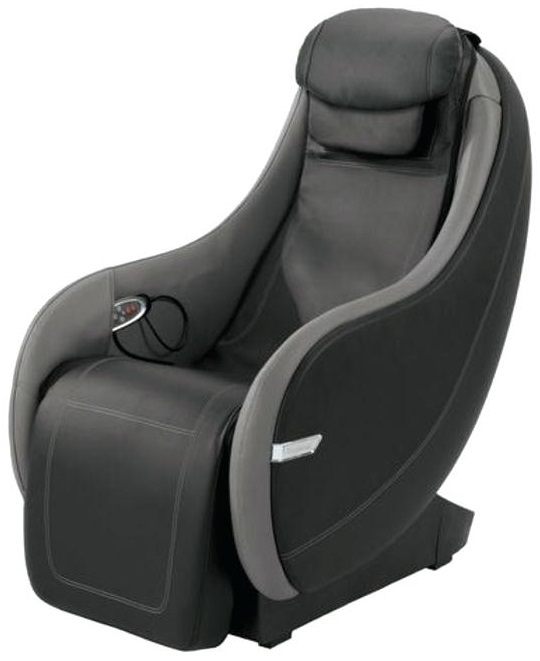 The Brookstone ReAct is another basic massage chair in the Brookstone portfolio. The best features it has are the deep-kneading Shiatsu massage nodes that have a quite therapeutic effect on soring muscles. The L-track design helps you get a full-body massage, but there are just 2 built-in programs: full body and back. Although this chair features lumbar heat, it’s not the most stellar heat therapy on the market. On the other hand, we love the compact design, easy to use control panel and neck support pillow. Even if this chair is lightweight and can fit in any room in your home, it can’t fit all body types. Tall people, especially those taller than 6’, don’t get the full benefits of the neck massage. Summary: The Brookstone ReAct is a good massage chair for sore muscles, especially thanks to the Shiatsu technique. Not all Brookstone chairs are available on the market now, and that’s why we aimed to offer you valuable alternatives. While the best option from Brookstone is the Energize 3D because it has the fewest disadvantages, all Brookstone chairs are good for their purposes. For instance, the Energize 3D is a versatile chair that can be used for therapeutic and stress-reducing purposes, while the Renew 2 3D excels at its air massage. On the other hand, the Kahuna 6800 is the most feature-packed massage chair in the low price range. The Novo XT and Luraco i7 Plus can compete in the high-end range, with more built-in programs, incorporated music system, and better warranties than the Kahuna. As an alternative the TOP brand to consider as well (especially their all time best sellers such as 8500 and 8500x3) is Infinity therapeutic. That said, which Brookstone massage chair will you want to buy and why? Which of the Brookstone alternatives did you like best? Let me know!